William Squire’s first night at Oakalla Prison Farm could not have been an easy one, even though his cellmates included 47 longshoremen, 20 of whom were married with children. The men had been complaining of rats and bad food to visiting family and co-workers. Overcrowding was another problem, even acknowledged by the warden, Walter Owen. 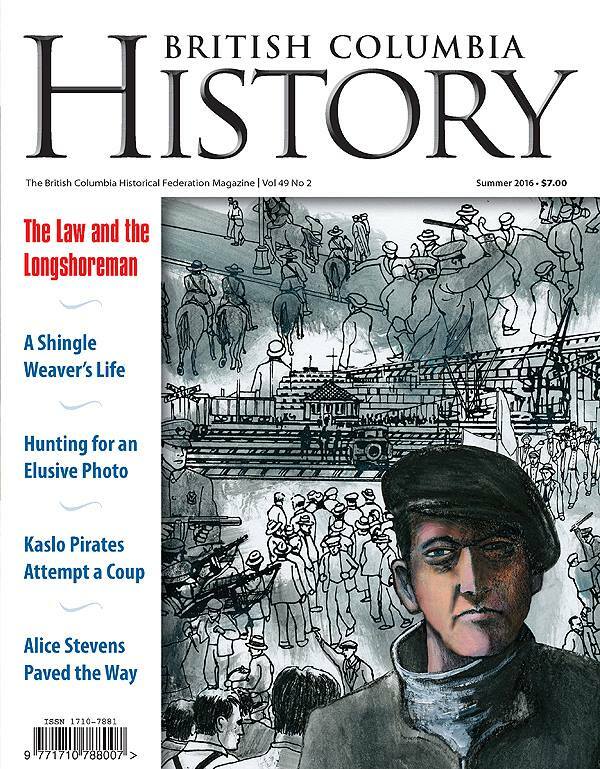 -excerpt from “In the Shadow the Lash,” to appear in the upcoming issue of BC History magazine, Summer 2016. Cover illustration by David Lester.